“Don’t Hide Stuff in Your Underwear Drawer, Other Tips by Real-Life Crooks,” a recent article on DNAInfo.com, offers some sobering insights about how burglars pick houses to ransack and what they do once they get inside. Since the article’s advice comes from crooks, it’s pretty realistic. Here are some highlights . . .
Don’t hide valuables in a dresser or bed table drawer. According to the crooks who were interviewed for the article, those are the first places burglars go when they are looking for valuable items. In some cases, crooks empty those drawers and leave quickly, without bothering to look anywhere else. Don’t hide gold jewelry or other precious metals in underwear drawers. One of the criminals interviewed stated that for some reason, many homeowners think they are as secure as safety deposit boxes. Do have an alarm system with clear signage outside. The burglars stated that they avoid houses with alarms. Why look for trouble? Small safes are only secure if they are bolted down. If they aren’t, burglars will simply cart them away and open them later. Don’t hide safes or valuables in garages or outbuildings that are not equipped with alarm systems. Given the chance, crooks will invest a lot of time ransacking those locations. Don’t assume that robust entry doors will deter crooks. The burglars interviewed for the article said that in nearly all cases, they preferred to enter homes through windows – sometimes by dislodging an air conditioner – and then to leave via a door after the ransacking was done. Here Are Some of Our Tips Too . . .
We are not burglars, of course. But here is some advice that we can offer, based on our years of experience helping individuals recycle the gold, silver, platinum and other precious metals that they own . . . If you hide gold jewelry, coins, and other valuables, leave a record of where they are. If you feel good hiding your precious holdings under a floorboard or behind a loose brick in your fireplace, maybe that’s fine. But do leave information for your family members and other important people that tells them where your hiding place is in case you become ill or pass away. You can let them know by attaching a letter to your will, by leaving a letter in a safety deposit box, or by filing it with your attorney. If you store precious metals in a safety deposit box, leave a document that tells people where it is. That might sound obvious, but every year tens of thousands of safety deposit boxes go unclaimed and are opened by banks. So if a safety deposit box is your choice, be sure to leave a record of it with your will or with your attorney. Don’t assume that fire will not damage precious metals. If you hide a cache of gold behind a false panel in a closet and your home burns down, for example, that gold will not burn up. But it can be very difficult to find amid the rubble of a burned building. 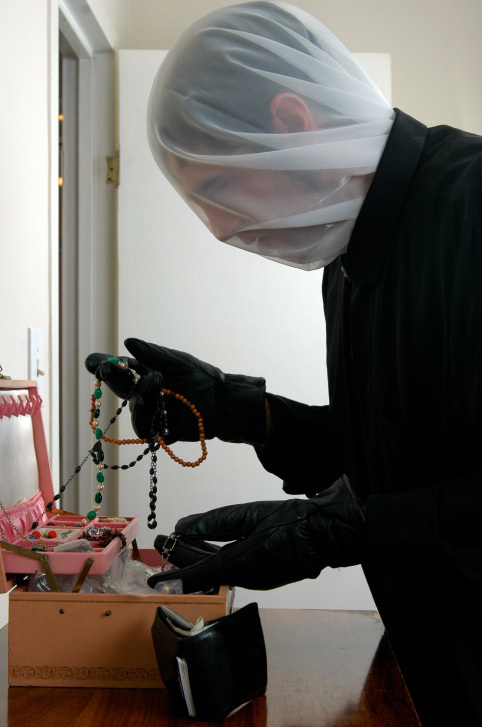 That’s why a safety deposit box or a bolted-down fireproof safe offers better protection. Remember that acquaintances can be crooks. This is not pleasant advice to hear, but it is worth remembering that crooks do not always crawl in through windows. They can be relatives, dinner guests, or service people who walk off with the silverware from your dining room or the jewelry from your dresser drawer. They are counting on the fact that it could take you weeks or months to notice that your valuables have disappeared. But there is a simple prevention: Have your precious items locked away in a safe or other secure location at all times, not only when you are away from home. Are You Ready to Recycle Instead of Hiding Things Away? If so, give us a call at 800-426-2344. We are here to help you turn your precious metals into cash today.